Today with smart phones, social networks and Internet access and mobile banking, we created an authentication system to prevent malicious users from entering our information and is what we know today as PIN/Password or unlock pattern. A few years ago, when cell phones were only a part that allowed us to make calls, the security measures were minimal, since there was no risk that they could steal confidential information, the reason why it was enough just to press the "Lock" key to prevent the phone from calling by mistake. Unfortunately, most users are often very clueless and forget their password to enter their device, or they make the joke-heavy to change their code, so we share a couple of tips to unlock your device. Before starting, as a security measure in case of theft, we recommend you to install Lookout, Prey or Android device manager, to be able to block and delete all information from the phone remotely. One feature that Lookout offers is that it allows you to take a photo of the person who has the phone so we can know if anyone wants access. That said, we started with the guide. For this step it is important to have the latest version of Android, this can be KitKat or Lollipop for newer mobiles. You will need to enter your Google access data that you entered on your smartphone. In the ADM interface, you will have to select the device that you need to unlock, (this in case you have several computers on the same account). In the window that appears, you will have to enter a temporary password. You do not need to get a recovery message. Now click "Lock" again. If you have done it correctly, you will see a confirmation where the sound, lock and delete buttons will appear. In the phone, you should now have a password field in which you must enter the temporary password. This should unlock the phone. Once this is done, go to "Settings" on the phone lock screen and disable the temporary password. Done, you will be able to regain access to your device. Enter your wrong screen lock pattern five times, this will be in automatic since you do not remember your correct password. Select "Forgot Pattern," this box appears in the lower left. You must now enter a backup PIN or Google sign-in account. You enter the security PIN or your Google username. This done the phone must be unlocked. This procedure is functional for Android users who have installed a root to their phone, that is, they have changed the factory settings to install applications or make modifications that could not be made in Android factory. To unlock it is necessary to have an SD memory since you will have to install a package in the zip, which you can download from here Pattern Password Disable, this file you will have to save it to the SD. Restart your smartphone in recovery mode, this is done by pressing the volume and power keys. (Varies depending on the equipment, see query link below). Flash the ZIP file to your SD card. When you start the phone, you must start up without a blocked screen. If you see a password screen or a lock gesture, just type any random password and give it unlock. 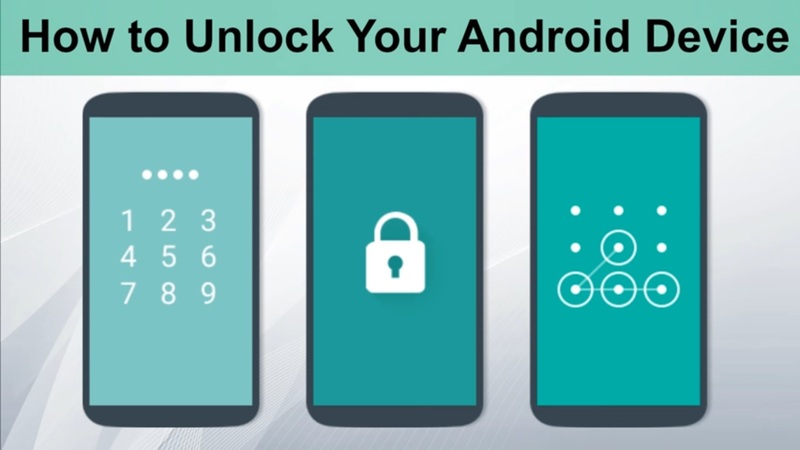 If you have done the above and you have not managed to unlock your cellphone, there is still an option and is to make a hard reset to your device, if you do not know how to do it, you can review this link where you can find the model of your device. It is important that you always configure the "save restore copies" option, to avoid losing valuable information. If you have already done so, perform the hard reset, and your device will remain the same as when you purchased it. Note: this guide is educational, so misuse is the responsibility of those who put it into practice.